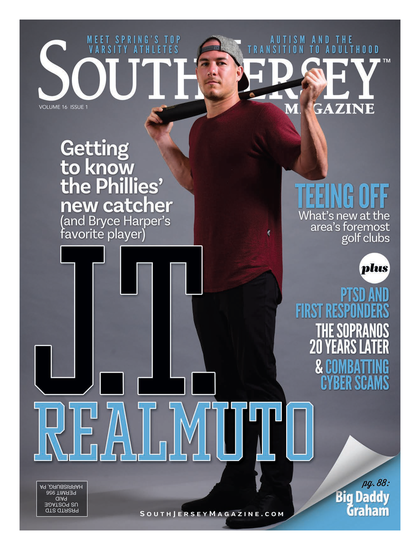 We ate the meals, shopped the stores and pampered ourselves over the past 12 months with one sole purpose in mind—to bring you the absolute Best of the Best in South Jersey. To show you we are serious, we combed through every town in the tri-county region in search of standout stars and hidden gems that help make our area so exciting. But to make sure we didn’t hog all the fun, we asked our loyal readers to go online and vote for their favorite places as well. Now, without further ado, we present this year’s winners—everything from facials to French fries. It’s the result of a lot of hard work, but by now you should know that no one does it better than us. We knew we were in for a treat when chef Marc Vetri made the decision to expand his Italian empire into the Moorestown Mall, but we could have never been prepared for just how good this restaurant’s menu could be. Between the wood-fired pizzas, handmade pastas, cured meats and specialty wines and cocktails, a meal at the mall never tasted so good. Whether you’re dipping it in gravy on pasta night or building the perfect hoagie for lunch, bread can be a crucial element of many meals. So why leave it to chance? Hit one of Cacia’s six South Jersey locations for the perfect selections for any occasion, from garlic bread to seeded to plain sandwich rolls and more. A terrific treat for Valentine’s Day, Easter or just to get your chocolate fix, Duffy’s has been the go-to candy spot in the area since the Roaring ’20s. All the chocolate is made by hand in small batches, and you can taste the quality in each bite. Our favorite is the Karmarsh, a layer of caramel stacked on marshmallow and coated in milk or dark chocolate. The garlic bites at People’s Pizza in Cherry Hill are the perfect thing to sate that unmistakable craving. These buttery, bite-sized dough balls are coated in a creamy garlic and herb blend that will leave you licking your fingers and send your coworkers running for the hills. Cupcakes make any adult feel young at heart, but plain chocolate or vanilla can seem uninspired. Thankfully, Gallo’s Bakery has upped the ante, transforming this kid-friendly dessert into grown-up versions with irresistibly moist, gourmet flavors, piled high with rich icing and toppings. Don’t miss flavors like maple bacon, Kona coffee, Twix and banana split. Skip the brown bag and stop into Dad’s Deli for a rotating selection of lunch specials that won’t break the bank, and will likely leave you with some leftovers. For less than $6, you can choose from more than a dozen options, like overstuffed hoagies with soup or health-conscious wraps and salads. A longtime Philly staple at Reading Terminal Market, now you don’t have to cross the bridge to try the famed Di’Nics’ roast pork, named the best sandwich in America by Adam Richman of the Travel Channel in 2012. Try the South Jersey location for juicy pork loaded with extra sharp provolone and either broccoli rabe or spinach—and don’t forget extra napkins. The question used to be where to find the best New York-style bagel. Not anymore, thanks to the introduction of a Canadian staple we didn’t even realize we were missing out on—the Montreal bagel. Wood-fired and boiled in honey water before baking, the difference is noticeable with these flavorful bagels, the perfect complement to any of their breakfast or lunch concoctions. This diner-esque doughnut shop, complete with bar stools and friendly conversation, is a local landmark. Offering all the standard varieties along with honey wheat, apple-filled, sour cream and more, this family-run business is a throwback to the way doughnut shops used to operate, and their reputation is well deserved. Any South Jerseyan knows a good pretzel when they taste one. Here you’ll find that unmistakably chewy texture topped with just the right amount of salt. For those willing to break away from the traditional mustard topping, don’t miss the dipping sauces like jalapeño cheese or chocolate. Words can’t do this addictive concoction justice. Inside this unassuming deli, you’ll find plenty to sink your teeth into, but we can’t leave without the pepperoni bread. A light, crisp crust surrounds the perfect ratio of gooey cheese, freshly sliced pepperoni and chewy dough. Blink and you might realize you’ve forgotten to share. While perusing the menu of Italian classics at Toscana, place an order for the mushrooms Campagna appetizer. The baked cremini mushrooms are stuffed with spicy and sweet sausage, a Tuscan cheese blend, baby spinach and topped with bechamel sauce for a crowd-pleasing first act to a meal you won’t forget. Omelettes might seem to be the obvious choice when there are more than 200 of them on the menu, but at Amy’s, the pancakes are worth a second look. Whether you take them plain, topped with fruit or (our personal favorite) with bacon baked into the batter, these pancakes are large enough to share, but so good you won’t want to. You can find chicken salad just about anywhere, but not like the homemade version at Phil’s. Mixed with onions, celery, mayo and a special ingredient, it goes great on any of their wraps, which come in white, wheat, tomato, spinach or habanero. Make like Marty McFly and head back in time with a trip to Nifty Fifty’s, where you can enjoy the nostalgia of the classic American soda shop. No visit is complete without one of their outstanding shakes—we suggest the black and white—made with housemade ice cream and syrup. Forget the usual brunch staples you’re used to and enjoy a truly unique dining experience at Al Dente. Menu items include crepes stuffed with fruit and cannoli cream or an English muffin topped with grilled shrimp, crab and poached eggs. The perfect homemade meatballs can be hard to find, but your search will end at WilJax. The menu boasts seven different types of meatball sandwiches, from the old-school style to unusual toppings like cheese whiz and bacon. Not only does Happy Hour at RiverWinds last a long time—from 11 a.m. to 7 p.m. during the week and 11 a.m. to 4 p.m. on weekends—it also features much more interesting choices than the usual bar fare. Instead of wings or mozzarella sticks, you’ll find choices like crab vodka penne, cheese steak spring rolls and mussels with chorizo. Good luck walking into this old-fashioned bakery and not leaving with more than you planned; just be sure your collection includes their chocolate croissants. Always quick to sell out but, there’s a reason why. Baked from scratch in the kitchen of friends Karen Morrison and Jack Frombach—formerly of John William’s European Pastry Shoppe in Medford—these homemade delights, featuring a slightly cut crust to reveal an irresistible aroma, are our favorite way to kickstart a relaxing morning. Tucked inside a strip mall on Evesham Road, you’ll find Diane’s, a summertime destination for any family or sweet-tooth connoisseur in search of a water ice that knows how to balance just the right texture and sweetness. Stick with cherry or try Hawaiian pineapple; by the cup or quart, you can’t go wrong. These homemade, personalized sugar cookies come in nearly any shape and design imaginable (the Downton Abbey-themed ones caught our eye). Artfully crafted, they serve as unique gifts for birthdays, showers or a simple “thinking of you.” They don’t have a retail location, but local delivery is free, and the carefully packaged gourmet treats are sure to leave a memorable impression. We hope we didn’t lose you at the mention of squid ink. With a subtle flavor profile that pairs perfectly with Florida rock shrimp and prosciutto, served on top of baby spinach with a vodka cream sauce, this black pasta is definitely a dish that stands out. It doesn’t get much more romantic than getting whisked away to a secret location for an elegant, candlelight dinner; now add live music and dancing and imagine doing it with dozens of other diners, all dressed in white. Styled after similar dinner en blanc events in major cities, in which guests don’t know the location until just before dinnertime, it’s South Jersey’s own Midnight in Paris. We can’t resist a place with a dedicated section on the menu just for French fries. You’ll find the traditional homemade cut and favorites like Old Bay, but we steer toward their more inventive creations—think Disco Fries with mozzarella cheese and gravy or a spicy version served with jalapeño peppers and onions. Classic comfort foods get taken to the next level at this casually cool spot with a list of innovative breakfast bites, like the tropical crunch waffles; a Belgian waffle that gets a breath of fresh air—and fruit—via bananas, strawberries and mango, along with granola. Co-owners Cindy Chan-Sze and her son Kenneth Sze have gained notoriety for their innovative specialty rolls, which use the freshest seafood and most unique ingredients to create bites you’ve never had anywhere else—like this roll, which wraps salmon and avocado in seaweed, then tops it off with tuna, yellowtail, eel, more salmon and thinly sliced jalapeños. Your ordinary lunch meeting gets a burst of spice and flavor at Monsoon, with classic Indian dishes that will leave you wanting more. Take your pick from dishes like tandoori chicken and salmon tikka, or choose from their sprawling vegetarian variety, all loaded with flavor and ranging from mild to spicy. This new installment in the Promenade at Sagemore is lighting up the fast-casual scene. The Mediterranean-inspired menu comes with plenty of salads, soups and an array of sandwiches, both grilled and in pitas. There’s even a range of hummus plates, for those who want to eat smart, but not small. Finding a snack with dietary restrictions can be tough, but not at Sweet Freedom. Along with a full line of freshly baked vegan and gluten-free cookies, cupcakes, breads, brownies and more, you’ll find specialty treats designed around specific food allergies. It’s hard for us to pick a favorite pie at this shop, which has a selection ranging from rich and chocolately to seasonally inspired fruit pies. Regardless of the filling, each one packs some homestyle flavor that you can only get through handcrafted creativity. If you’re truly stuck, mix and match with pies by the slice and try them all; we won’t judge. We’ve been a fan of the handcrafted pasta here for years, so we weren’t too surprised when we found out their cheese selection was just as impressive. Browse their counter and you’ll find more than 200 options, from hard to soft, made locally and from famous cheesemongers across the planet. Rice noodles get tossed in a house-made tamarind sauce with your choice of shrimp, beef, tofu or chicken, along with scrambled egg, bean sprouts and fresh scallions. It’s a quintessential Thai dish that is elevated with extra finesse and flavor. There’s a lot of fine chicken wings to be had in South Jersey and we’ve sampled the vast majority. So every now and then we branch out in search of something a little off the beaten path. Enter the Dolsot House, a strip mall Korean eatery that produces delectable wings (soy garlic, honey sesame, spicy and the daring Diablo) that are perfectly crisp on the outside and incredibly tender and moist inside. Cherry Hill may seem like an odd location for this award-winning barbecue outfit to set up their only location in the Northeast, but since they opened we’ve been in need of extra napkins. Pulled pork, brisket, chicken, ribs, you name it, you’ll find it here along with side dishes that don’t disappoint and a selection of signature sauces that can please any palate. You can smell the fresh crab and Old Bay before you even pull into the parking lot at Blue Claw, and it only gets better inside. This crab shack gets crustaceans in from all over the world, so you can take your pick of anything from all sorts of legs, claws, sizes and seasonings. Dinner and a deal, can it get any better? It does at Café Madison, where for just $35 you get a four-course feast, with your pick of appetizer, an entrée with accompanying mixed green salad and dessert. And with entrée options like Amazonian red tail bass and pork sirloin, there’s no sacrificing quality on this abbreviated menu. Trim-Rite has been a local fixture since 1980, and though its ownership has changed hands, it’s still the kind of place where they treat you like family, which is to say they know their customers. It’s also a throwback to the days when butchers not only cut the meat to order in front of you, but they also could educate you on nuances like flavor and cooking preparation. Rastelli’s is one of the largest purveyors of food in the country, but their Deptford market (with a new location coming to Marlton) is the perfect place to stock up on homemade goods ranging from dinner platters to salads to desserts. Using the quality ingredients they are known for, it’s gourmet-to-go at its finest. This hopping Mexican joint serves up some of the most authentic dishes around. But even when we’re not hungry, we have a hard time resisting the chance to belly up to the bar and grip one of their dozen different margaritas. With a mix of Patron Silver and Patron Citronge, the Perfect Margarita is, well, kind of perfect. This casual restaurant has long been known for their seafood dishes, but their quality gourmet pizzas prove they’re no one-trick pony. The signature pie combines the best of both worlds, starting with thin crust covered in red sauce and topped with an amalgamation of scallops, shrimp and jumbo lump crab meat. It’s as addictive as it is appetizing. We’ve been to this cozy little Italian restaurant on several occasions for dinner, but it wasn’t until we stopped for lunch one afternoon that we discovered these wonderful bites. Served until 4 p.m. daily, these are not your typical grilled sandwiches. Instead you’ll find options like the tasty Tuscan chicken—grilled chicken breast topped with provolone, salty prosciutto, roasted red peppers, arugula and served on rosemary foccacia covered with a basil pesto. This tiny taqueria has quickly become our go-to place to stuff our face. Whether it’s the chorizo, asada or al pastor varieties, we’ve fallen hard for this no-frills spot where you can take in the appetizing smells permeating from the open kitchen. There are strombolis and then there are Slice’s strombolis. An Old World approach, ultra fresh ingredients and baked to a slightly charred perfection, you’ll find the usual suspects like pepperoni or cheesesteak here. But you can’t go wrong with the pizzaz (American and mozzarella cheeses with tomatoes and hot peppers) or the truffled ribeye with caramelized onions. Nunzio’s was one of the first to usher in Collingswood’s now thriving fine dining scene, and while others have come and gone, it has only gotten better with age. Chef Nunzio Patruno flexes his culinary muscle with a mouth-watering menu that incorporates Italian specialties with French techniques and the results are the perfect pairing for that bottle of vino you’ve been saving for a special occasion. There’s a lot to like on Jake’s menu, from the salads to the whopping burger, but we’d travel here just for an order of their homemade onion rings. Meaty onions cloaked in well-seasoned breading, they are more than just a side order; and you’ll be thinking of them long after you finish the last bite. Melinda’s just feels like home. From the personable staff to the homemade food, it’s warm, inviting and comfortable. It’s easy to fall in love with the place, especially when noshing on the Hurfville Special, a stellar sandwich that starts with homemade turkey and honey mustard and is completed with apples, brie and served on your choice of a croissant or baguette. You can’t go wrong with any of the salad options at the Orange Blossom Café, but we prefer the Chicken Waldorf. With its grilled chicken, apples, celery, raisins and walnuts over mixed greens with raspberry vinaigrette dressing, it offers just the right amount of sweet and savory to get us through the day. The tapas movement has gained a lot of steam in the past decade, and at Catelli Duo they know the importance of sharing good food with good company. Whether you’re choosing from an array of appetizers or their house-made pastas, you can order several smaller plates to keep to yourself or larger versions that can be passed around to the table. The classic BLT is a staple of most deli-style eateries, but Marino’s takes it up a notch with hickory smoked bacon, romaine, tomato, fresh mozzarella and cracked black pepper aioli served upon sliced sourdough bread. You may never want a plain old BLT ever again. As their name suggests, Desserts by Design offers lots of tasty treats, but we wouldn’t order a cake from anywhere else. Here, succulent frostings and elegant designs adorn cakes so moist and flavorful you’d think you were biting into a little piece of heaven. Be sure to have a glass of milk handy. The scent of freshly made waffle cones may draw you into Dippy’s, but it’s their list of homemade ice creams that will really impress you. With seasonal favorites like Irish potato to more traditional options like chocolate peanut butter, even the most finicky taste buds will find something tempting here. Though Berry Creamy rotates the 16 frozen yogurt flavors it features each day, you won’t have any trouble finding one—or two, or three—to suit your fancy. Offering not only non-fat and premium flavors but also tart, sugar-free and dairy-free options, as well as all the toppings you can imagine, if you haven’t tried frozen yogurt yet, this is the place to do it. While most people head here for their lunch and dinner options, we are tempted to skip right to the dessert selection, which includes everything from mango cream and passion fruit mousse to chocolate toffee truffle with a crushed pecan crust. Here, we don’t save the best for last—we eat it first. Whether it’s an anniversary, birthday or just a simple hello, few things send a message better than flowers. When looking for the perfect arrangement, stop by this shop for one-of-a-kind work. Or browse from hundreds of bouquets available on their website for an easy exchange. From top to bottom, this boutique carries a constantly rotating selection of items that work during a day on the town or a casual night out with friends. You’ll find designers like Kenneth Cole, Diane von Furstenberg and Michael Kors among the other designers on their racks, with seasonal pieces that are hard to find anywhere else. South Jersey has its share of clothing stores, but if you’re looking to take it up a notch in the fashion department, Erdon is the place to do it. Carrying all of the latest fashions and designers, after one trip to this Marlton gem, you’ll be ready to hit the runway—or sidewalk—in style. Look no further for unique housewarming gifts or extra-special additions to your own kitchen. These shelves are stocked with an assortment of artisan jams, salsas and jellies, along with totally original barware, serving tools and glassware. There’s even creative cookbooks, so you can find all new ways to use your tools of the trade. From highly sought-after Belgians to popular local brews, including newcomers like Tuckahoe and Carton, this is a beer lover’s one-stop shop. The knowledgeable staff can find you the right beer no matter how discerning your taste, and the growler station rotates in a nice mix of rare brews and fan favorites at prices that won’t break the bank. The staff at Traino’s is there to please, with wine knowledge that rivals any restaurant thanks to their wine director/sommelier Nina. A trip down their aisles is like a journey around the world, with reds, whites, rosés and blends from Argentina to New Zealand. They’ll even help you track down that bottle you’ve been searching for so you can impress without the stress. Every man should own at least one brown and one black pair of high-quality dress shoes, and they should be treated like your car, meaning regular maintenance to make them last. That’s why we head to Nordstrom to allow their skilled shoe shiners to have their way with our oxfords. It’s one of those timeless experiences that will make any proper gentleman feel nostalgic and, at under $3, it can keep those $400 Allen Edmonds walking into the distant future. You don’t trust just anyone to groom Fido’s curly coat, and neither do we. That’s why we take our pets here, where friendly, caring professionals are as committed as we are to making our pets look their best. Offering services like nail clipping, teeth cleaning, fluff drying and more, Fido never had it so good. Nothing can transform an outfit like the right accessories. At South Moon Under, the selection of clutches, scarves and belts from well-known designer brands like Marc Jacobs, Rebecca Minkoff and Printed Village will have you receiving compliments all day long. South Jersey’s sharp-dressed men have been heading to Lee Newman for years, and for good reason. With a high-end collection of suits, blazers, dress shirts, ties, shoes and accessories, it’s the perfect place to replicate the latest styles. Afraid you can’t pull off the modern look? The friendly staff will be more than happy to help you update your wardrobe. With a collection of clothes that are perfect no matter if you’re heading out for a day on the beach or a night on the town, Hugo Boss has the style that suits us best. The looks are sleek, hip and somewhat understated, especially compared with some other brand namedesigners. How many times have you struggled to find the perfect hostess gift? If your answer is too many to count, consider a trip to La Di Da. Offering unique and fun gifts for all occasions, as well as clothing and accessories, you’ll never have to fall back on your standard bottle-of-wine gift again. This is the shop for parents who feel like all big-box toy stores look the same. Break from the mold and help your kids do the same. With crafts, science kits, art supplies and specialty toys from brands like Melissa & Doug and GoldieBox—plus kids’ craft classes—it’s sure to get your child’s imagination going. Vibrant, clean and safe, you can’t go wrong with a day of shopping in downtown Haddonfield. Stroll up and down Kings Highway and Haddon Avenue for everything from a wedding dress to arts and crafts to fine jewelry, or take it all in with an outdoor lunch at one of the many restaurants in the area. Ignore the mundane offerings of retail chains and find something truly original at Modern Vintage Home. This boutique-style store is a refreshing alternative to mass-produced items, and features furniture and décor that can mesh with any style personality. The Yampell family has been an institution on Kings Highway since 1929, and expert watch making has always been a huge part of their jewelry business. The staff at Haddonfield Fine Jewelers includes one of the best around in Phan Van Nguyen, who has more than 35 years of experience. For a new, one-of-a-kind piece or to repair the sentimental watch you already own, the crew here has you covered. Shopping for jewelry can sometimes be a stressful experience, but the knowledgeable and friendly staff at David Arlen helps alleviate that stress. They offer selections from the top designers and can create unique pieces on the premises, helping you leave with the perfect choice to suit your personality. When we’re in search of a new piece of fine jewelry, to complete an outfit or give as a gift, we turn to the experts at JG Kroenberger, who can guide us through their impressive collections—including Frederic Duclos and Lauren G. Adams—to help us make just the right statement. Not sure what to get? Check out the gift guide on their website, which breaks down ideas by price point. If you’re looking to put a little bling on that special someone’s finger, Billig Jewelers offers a wide variety of options for you to choose from. With all the diamond cuts and metal options you could want, it won’t be hard for you to find a way to show your better half just how much you love her. Shopping for the right gift for that special someone can be overwhelming, but the quality selection of gold, sterling silver, platinum and precious stones at Family Jewelers—coupled with a friendly and knowledgeable staff—will make the experience a pleasant one. There’s nothing like receiving a hand-written thank-you note. Though text messaging and emailing have made such messages virtually obsolete, for those moments where nothing but a hand-written message will do, Papertree Studio has you covered. Also offering invitation design and calligraphy services, working with this Williamstown company may remind you why stationary is so special. If you live for the thrill of a good deal, get your kicks at the Habitat for Humanity ReStore, where you’ll find a collection of donated goods from the typical couches and dining tables to the uncommon windows, doors and paving stones. An added bonus: The money you spend here will help a deserving family who needs a home. We often think of a spa as the perfect escape for women, but why not the guys, too? The Just for Him package at In the Village is the perfect way to relax and forget about all the stress in your life. It includes an 80-minute, head-to-toe massage, gentleman’s facial, manicure and pedicure. While Suede Salon can take care of you from head to toe, its 60-minute vitamin C facial is a necessary indulgence as we head into beach season, as it is specially designed to exfoliate and nurture troublesome skin on the face and hands with vitamin C.
If you’ve found yourself just barely making it through the week lately, taking the time out for a massage may do you good. We especially love the Victorian Tea spa package at Tranquility, which includes an aromatherapy massage, flavored manicure and flavored pedicure, topped off with a cup of tea and cookies. You’ll wonder how you made it this long without it. The stylists at Rizzieri understand how your hair falls in the morning can make or break the rest of your day, so they do their best to cut and style your hair to ensure you achieve the maximum amount of good hair days. You may have never even heard of a dusting, but this money-saving shape-up will be your new best friend after a trip to Head Candy. Stylists will trim a half an inch or less off your current style for a fraction of the cost, giving you healthy hair while maintaining your style and keeping your wallet happy. With more than enough polishes to pick from, you won’t have any trouble finding a color to match your outfit for the day. This salon takes pampering to the next level, with a complimentary paraffin wax dip to go with their full-service manicures. You want your hair to stand out in the best way possible, and a great color can totally transform your look. At Thriv, there’s a whole world of coloring options to choose from, including single and double process coloring and even bang highlights to add some color right around your face. You’ll leave with a hairstyle as unique as you are. They offer a full range of services here from glazing to keratin treatments, but we like to go here for that fresh-from-the-salon blow-dry look. No matter how much we practice at home, the stylists here seem to know our hair better than we do, and so an appointment with them is a must before any special occasion—or just because. Joe Graziano and George Miraglia have been cutting hair in Haddonfield for years, but the tragic passing of their former boss had the pair questioning their future. That’s when they decided to branch out and open up their own shop on the other side of Kings Highway. It’s an ode to the barbershops of yesteryear, which means good old-fashioned haircuts for men only with plenty of spirited conversation to go around. Escape your daily routine and transport yourself to another world at Topper’s Spa. Your day of pampering can include treatments like hot stone massages, European facials, a manicure and pedicure and more. When the day is done, you’ll feel like a new person. Temperatures in the 90s coupled with high humidity make it easy to break a sweat here while motivating instructors both push and encourage you. And unique offerings like stand-up paddle board classes and a power yoga boot camp really make this studio stand out. When you want to look your best for a special event, turn to Lisa Severino at the Make-Up Bar for the finishing touch. They may offer more here than the name implies, but she’s an expert in the industry, teaching courses for future estheticians and lessons for those who want to learn how to best show off their features. Imagine a massage that not only relaxes you while on the table, but leaves you feeling less stress and tension throughout your body well after you walk out. That’s the goal at Massage Envy, where their various massage packages cater to your needs, such as relieving muscle tension and arthritis pain, enhancing sleep or promoting circulation. An ice carving festival and a chili cook-off may seem like an unlikely pair, but it’s a recipe for success in Mount Holly, where they celebrate every year with amateur ice carvers taking to the streets and some of Burlington County’s best chili cooks serving up their fiery eats, along with plenty of family-friendly entertainment to round out the day. With amusements, a pool, mini-golf and more outside, plus a bowling alley, go-karts and laser tag inside, this place a is a no-brainer. It’s a huge stress-relief to have party planning off your shoulders to begin with, so why not have a little fun yourself while you’re at it? Broadway Theatre is one of the few vaudeville-style theaters left in the area, complete with crystal chandeliers, original molding and balcony boxes. It hasn’t lost its charm due to a major rebirth that began with new owners in 2006; and fortunately, thanks to a packed schedule of both mainstage and children’s productions, there are plenty of reasons to visit. With a retro vibe, a few challenging holes and the promise of fun for the whole family, Pleasant Valley is a prime spot to take the children or act like a kid again yourself. End the night with a Caddy Snacks Homemade Water Ice, with flavors like On the Green Cookies-N-Cream or In the Rough Root Beer. Featuring more than 150 grass and mat hitting stalls, reasonable prices and an on-site instructor in Sean Driscoll, Big Swing is the perfect spot to refine your swing before heading out for a round of golf. For those golfers who like to play all year long, they have the convenience of 10 heated stalls as well. Want to come face to face with a Nile hippo that weighs two tons? South Jersey’s Adventure Aquarium is the only aquarium in the world where you can, with protective glass in between, of course. You’ll meet Button and Genny and learn all about their natural environment. The Carmike has long been known as the theater for the true movie lover, with comfortable seating and a selection that includes small indie films as well as studio blockbusters. For a real treat, head over on Wednesdays, when ticket prices are just $5 all day long. At that rate, you’ll be able to afford the large popcorn, too. Katz JCC embraces “community” in every sense of the word. Camp programs for kids, fitness classes for parents and wellness programs for seniors are just a fraction of everything available at their world-class facility. Every member of the family will find something, all under one roof. Published (and copyrighted) in South Jersey Magazine, Volume 11, Issue 4 July, 2014).